I loved the colors and the way those mirrors looked. 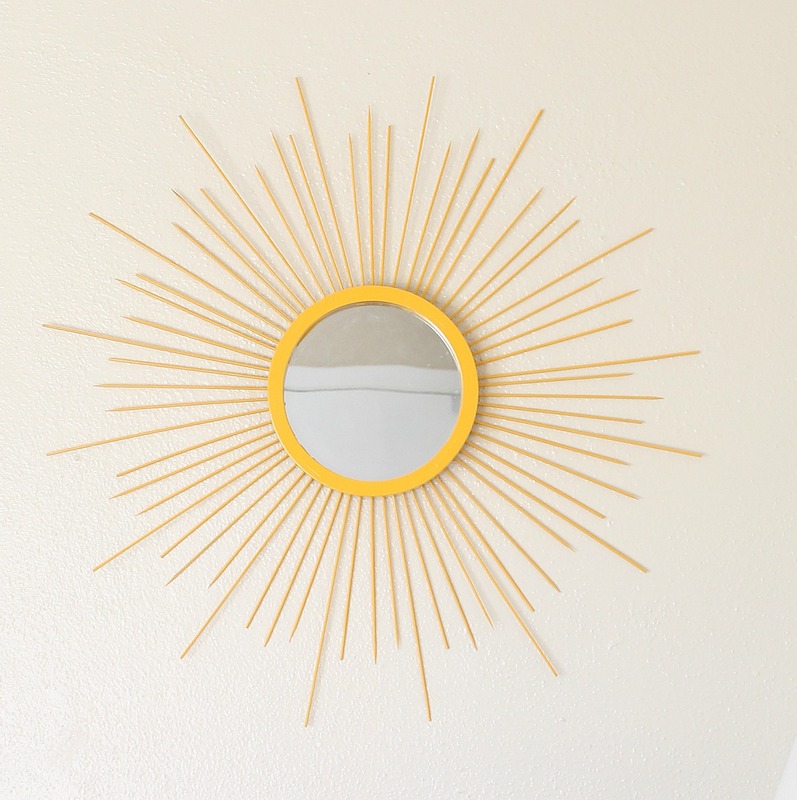 When I found out that Melissa from 320*sycamore had embellished those mirrors herself - I started my search - I wanted a sunburst mirror just like that teal one! 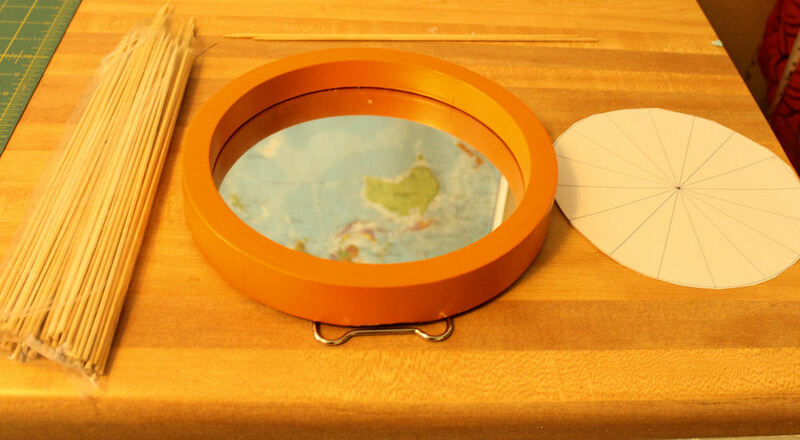 Finding a round mirror with a thick frame was no easy task. A couple of months later I found this beauty at Goodwill. How much was it? $4 (a little higher than I would like - but i couldn't pass it up!). 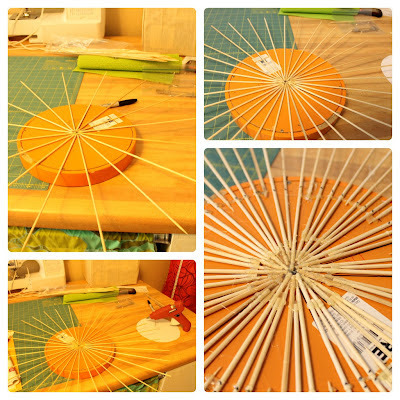 I got a pack of skewers for $1 to complete this simple project. 1. 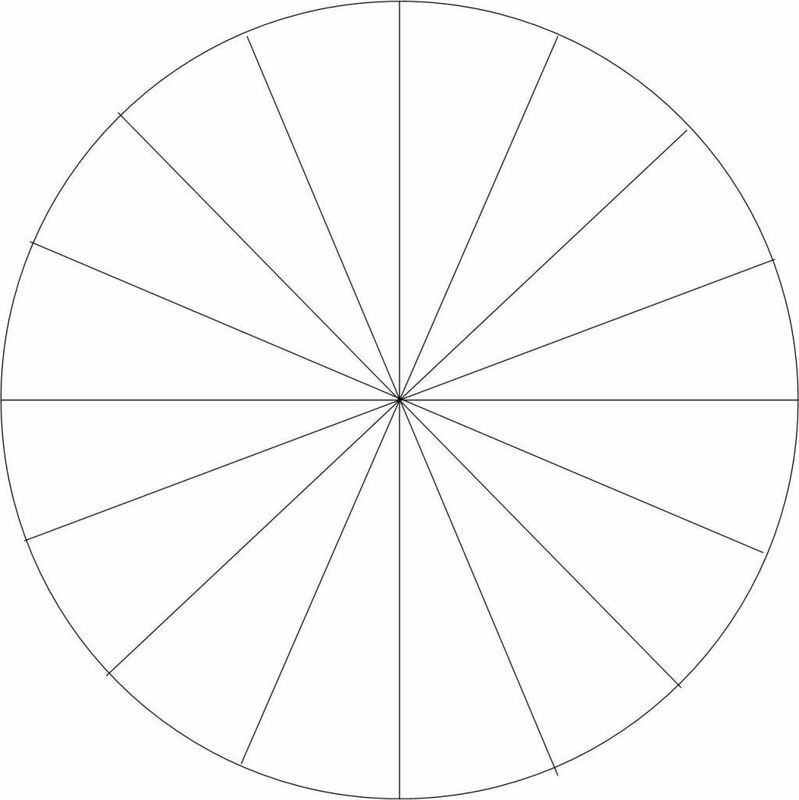 Print out this template (thanks to Under The Table & Dreaming for this!) 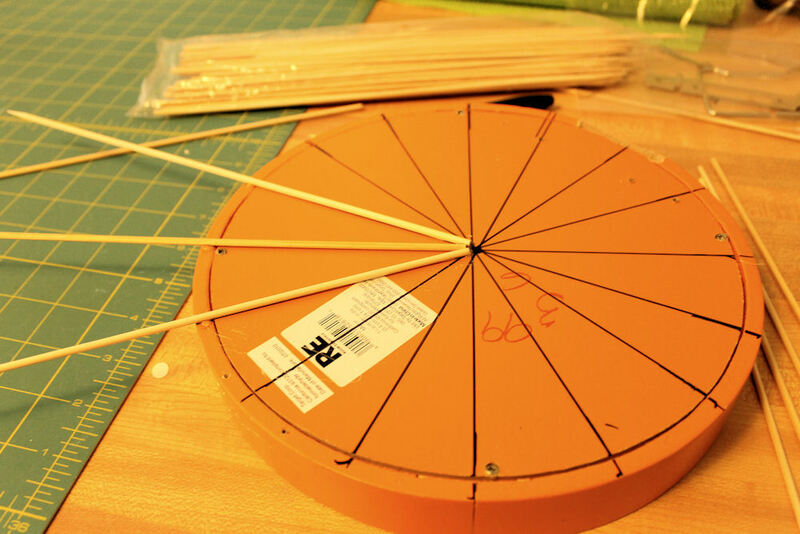 - which will help you with spacing. 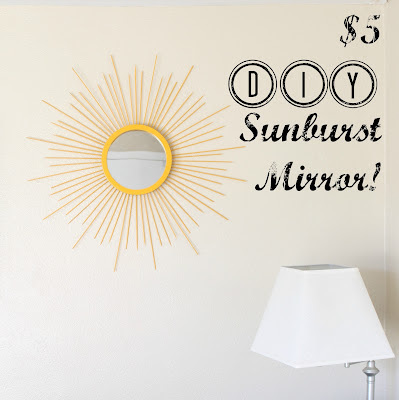 Either trace or glue it on the back of your mirror. 2. Start adding skewers in a whatever pattern you want! Hot glue worked really well with this. 3. Cover the mirror part. 4. Spray paint (I used two coats on this). 5. 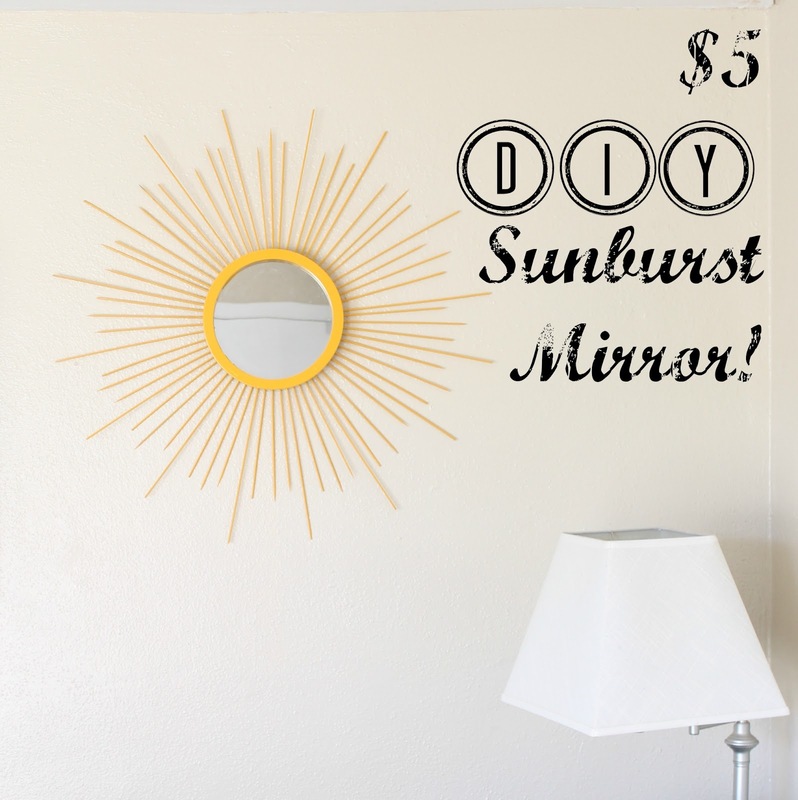 Add the hanger and viola - you have a $5 (or less) sunburst mirror! 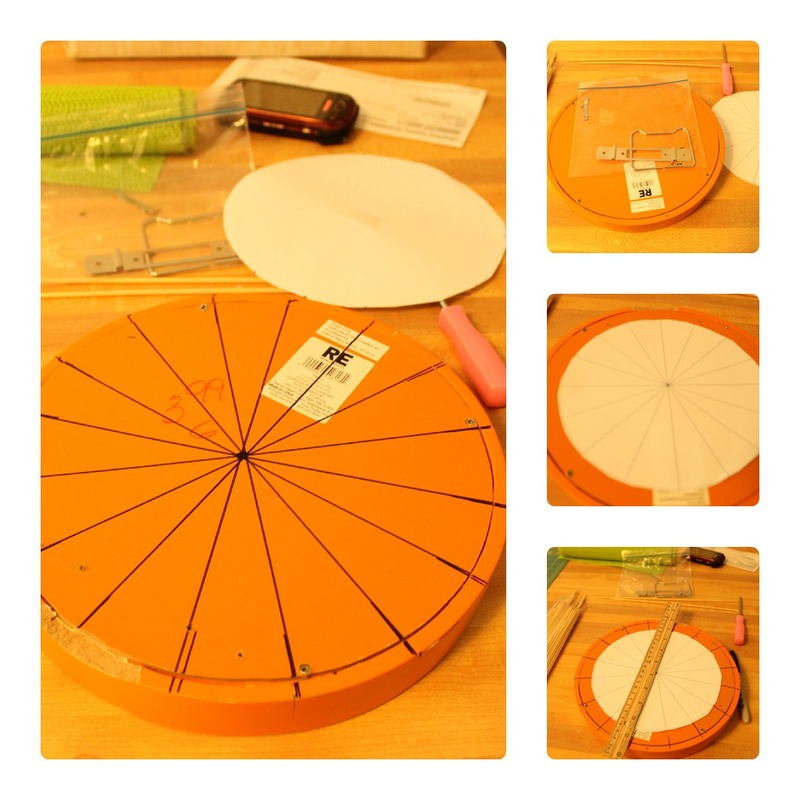 This was a perfect one hour project (including spray paint time). 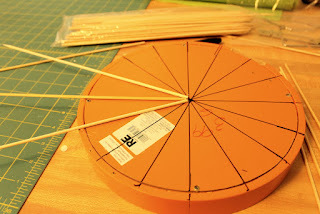 And these days - with being 33 weeks pregnant - I need easy one hour projects! This beautiful project went right up in my living room - which is in progress of being updated with a new rug, decor, and furniture arrangement. More picture updates to come! Mindy I love this! 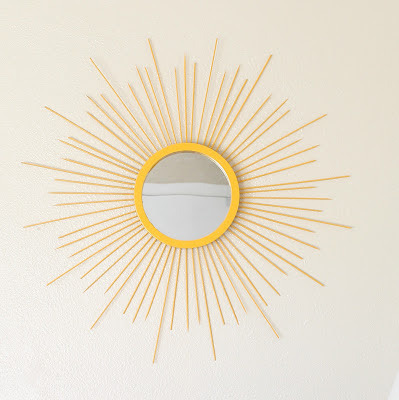 I've been thinking about making a sunburst mirror for our guest room but I didn't know how hard it would be. So glad to hear this is an easy DIY!